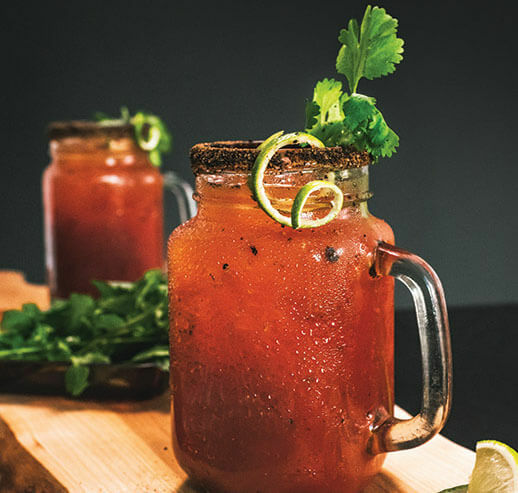 The flavours of mint, ginger, cinnamon, and cloves also work well with tomatoes—these ingredients can be muddled in along with the blackberries, if you like. 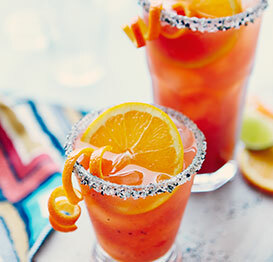 Or change up the lemon wedges for orange or peach slices, for a unique flavour. 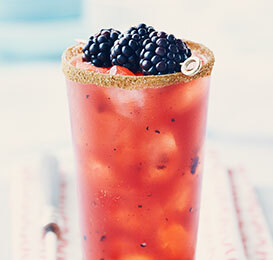 They might seem like strange bedfellows, but tomatoes and blackberries go really well together. 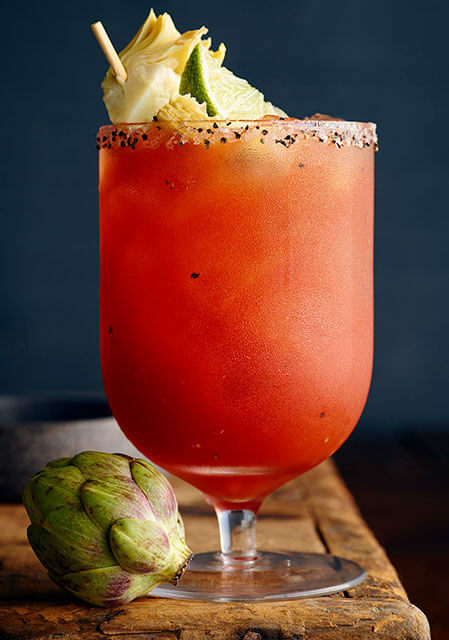 The sweetness and acidity of the tomatoes complement the sweetness and fruitiness of the berries. 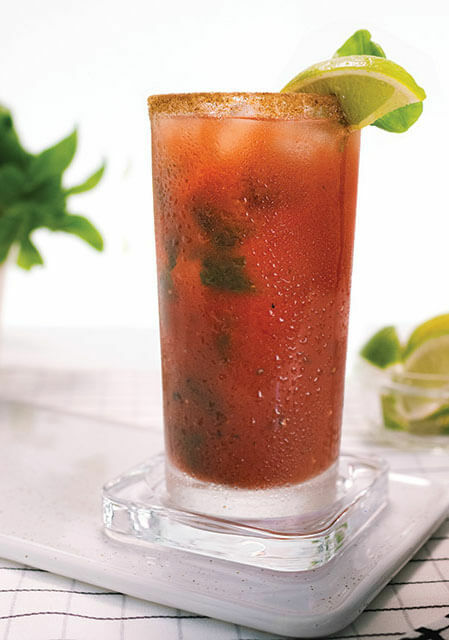 Add plenty of cracked pepper to the mix and you get a refreshing balance of sweet and savoury. 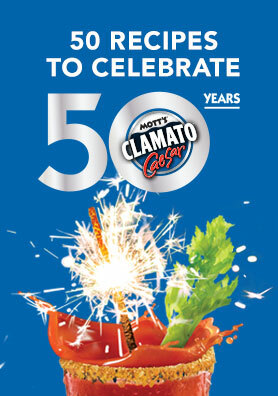 In a mixing glass, muddle everything but the gin and Mott’s Clamato Cocktail. 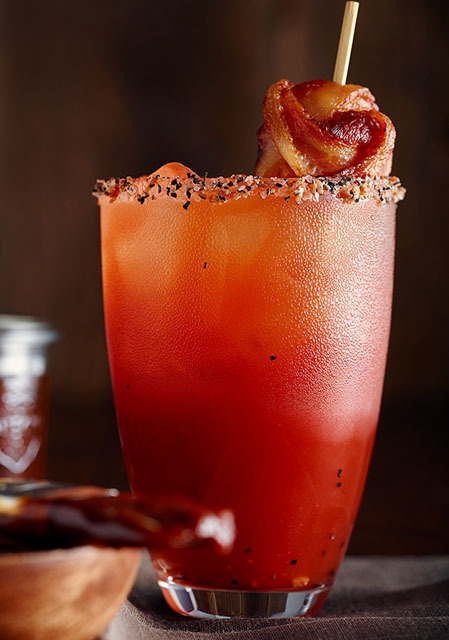 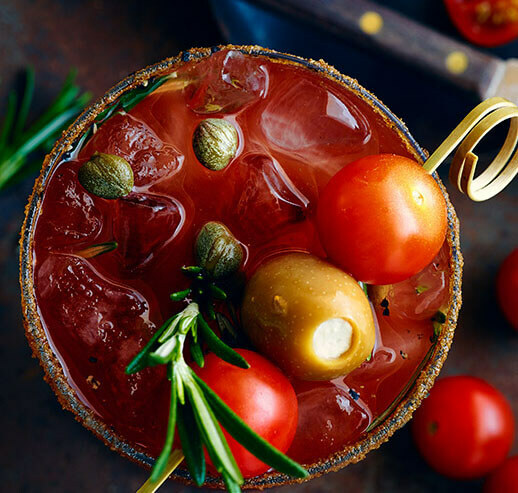 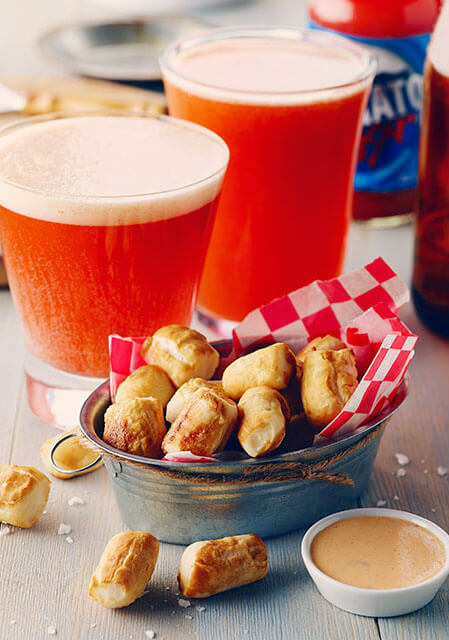 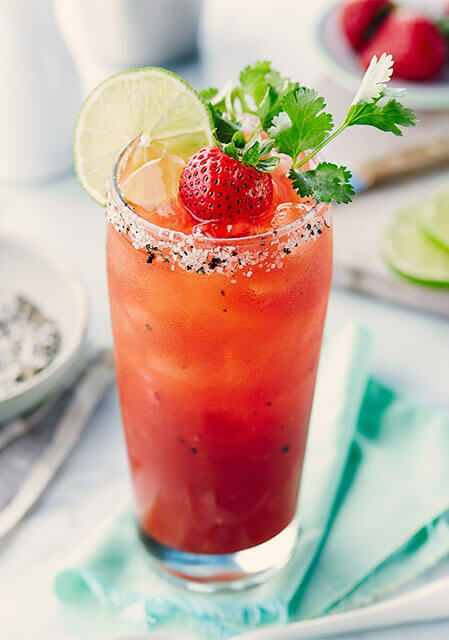 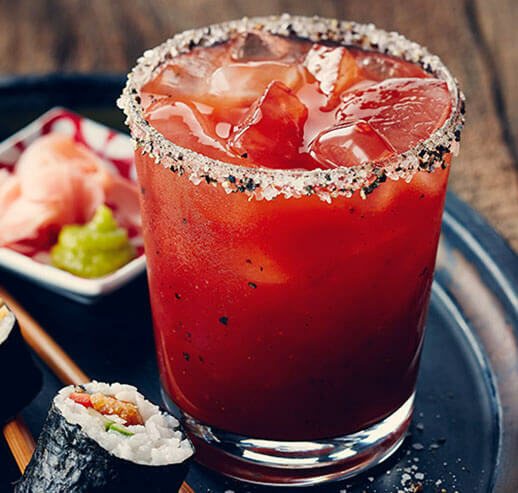 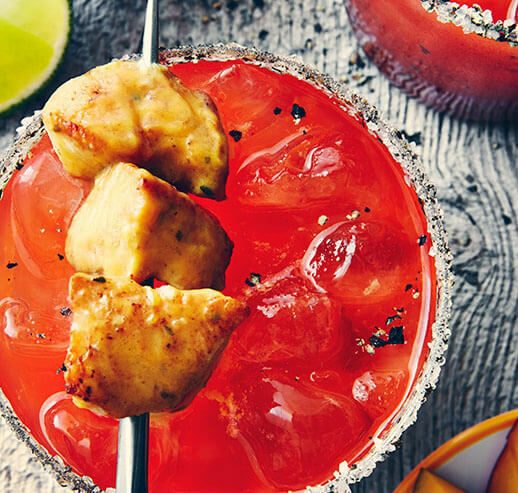 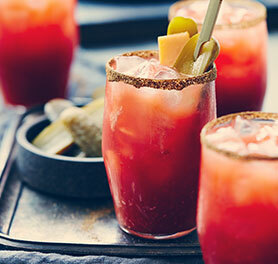 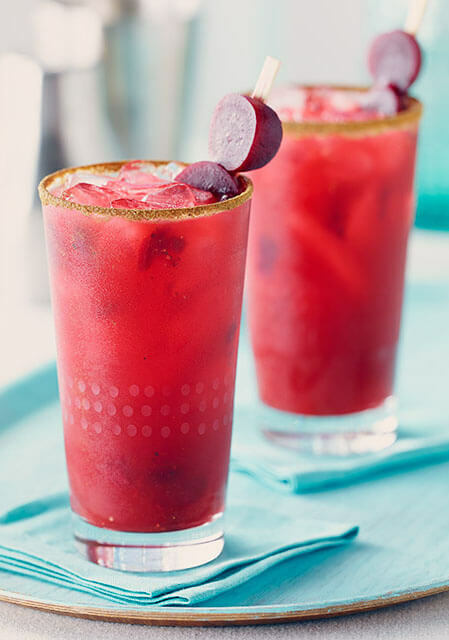 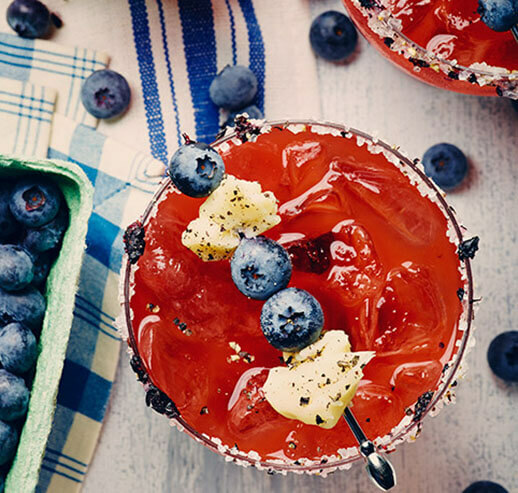 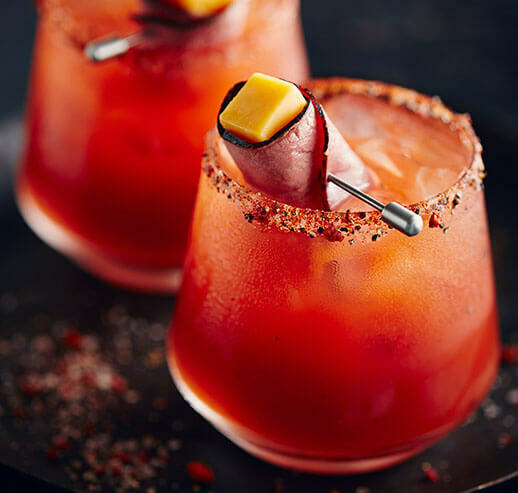 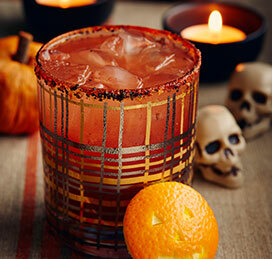 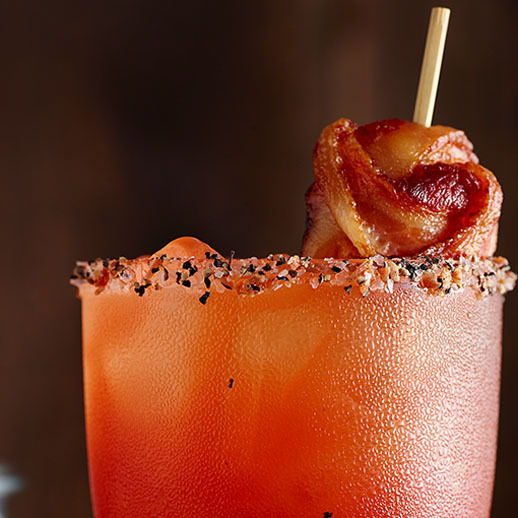 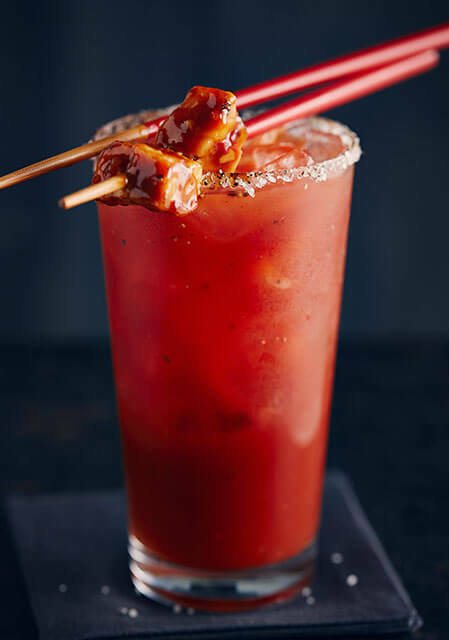 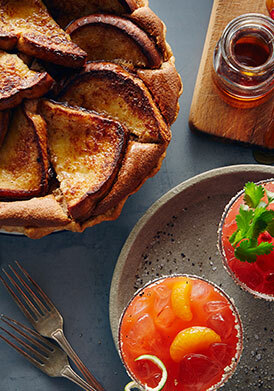 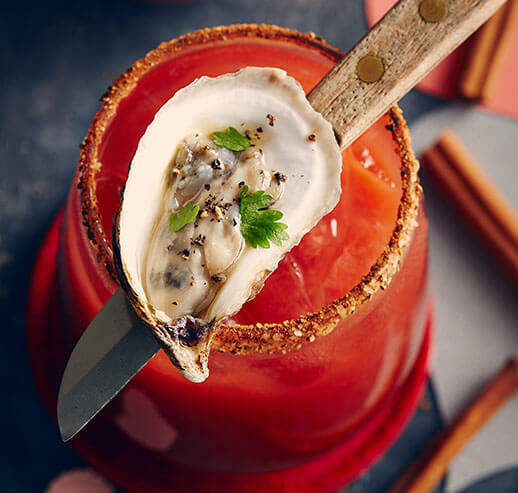 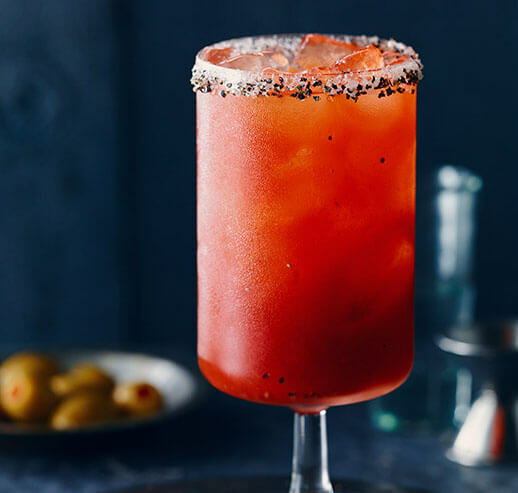 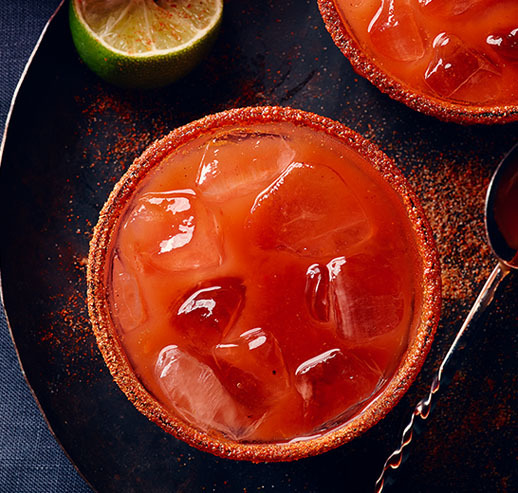 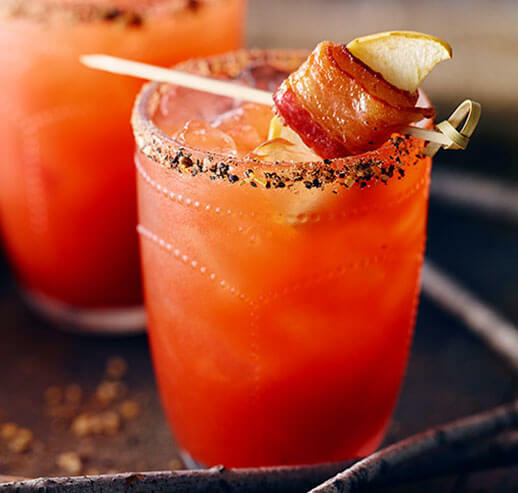 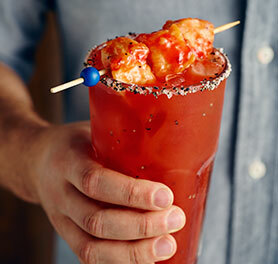 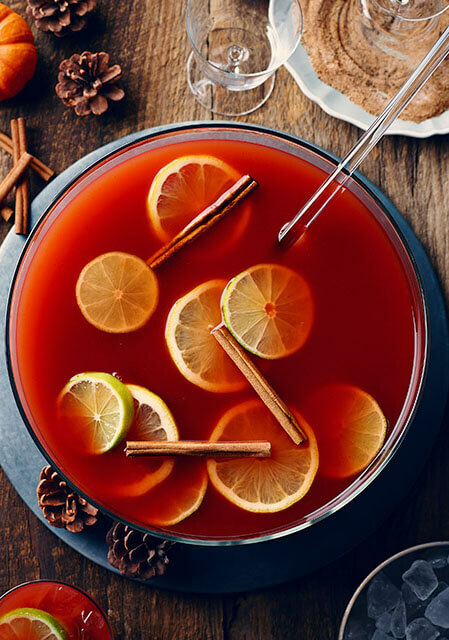 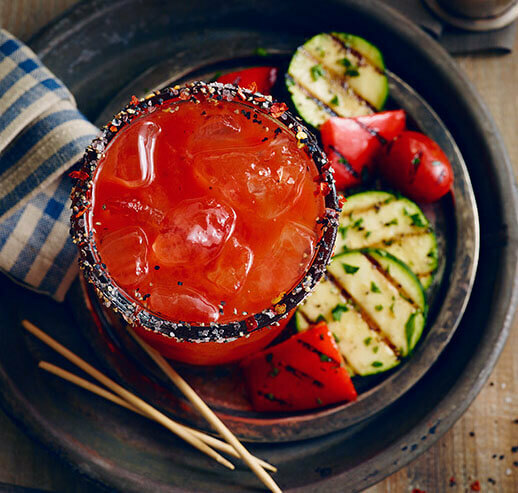 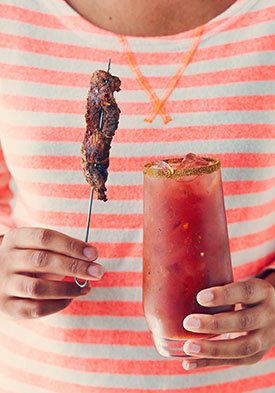 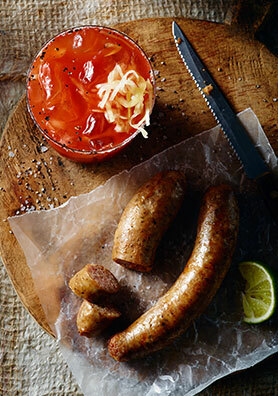 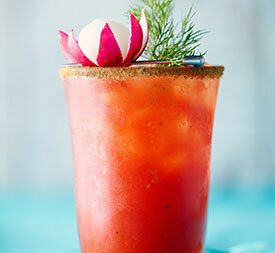 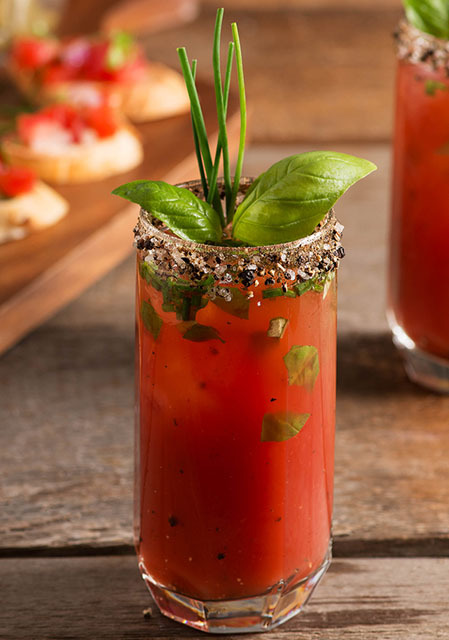 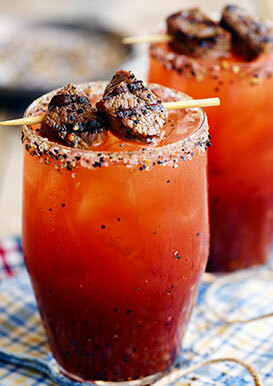 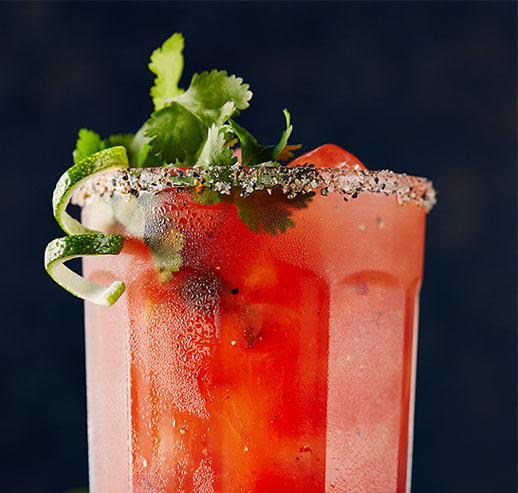 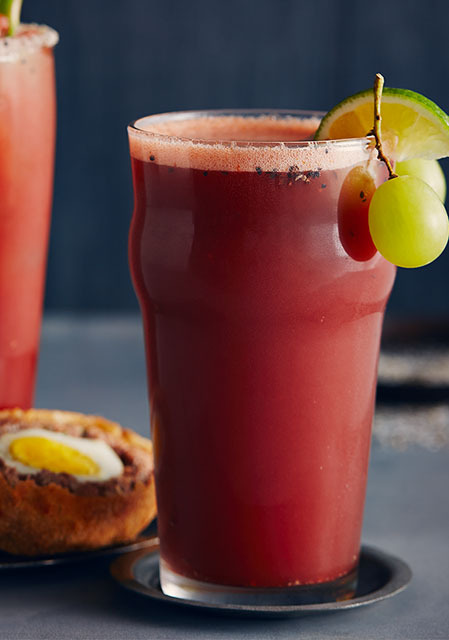 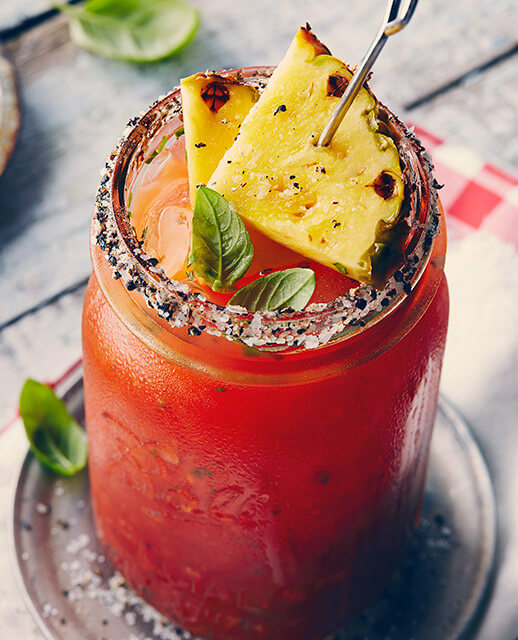 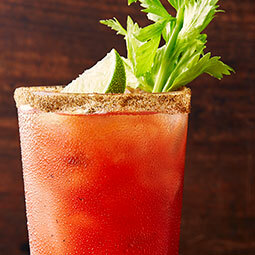 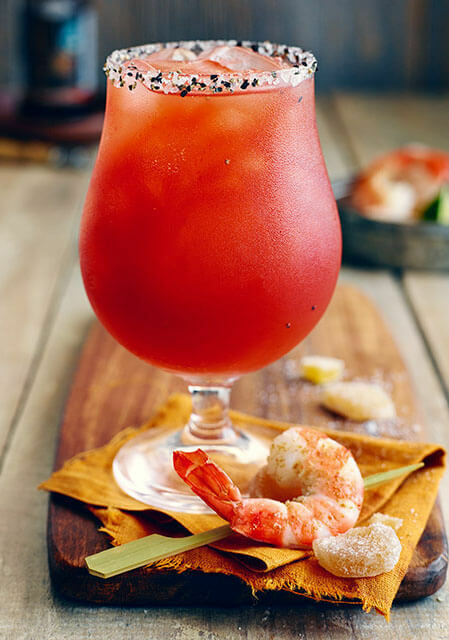 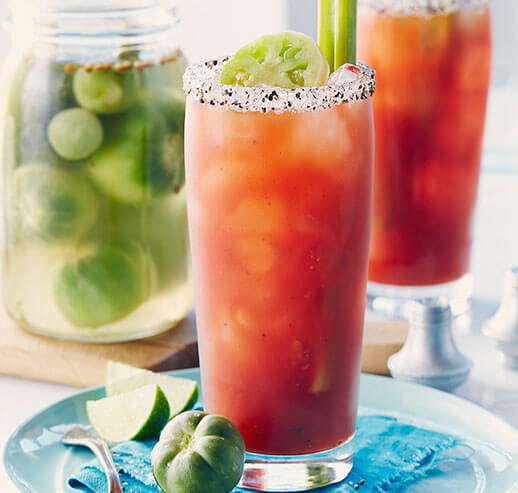 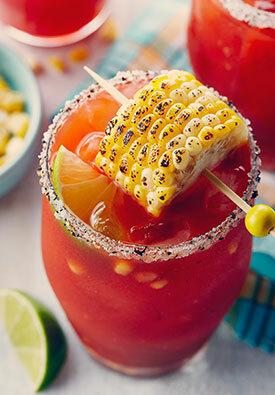 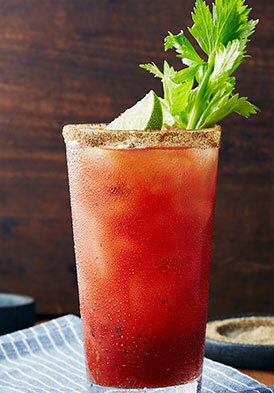 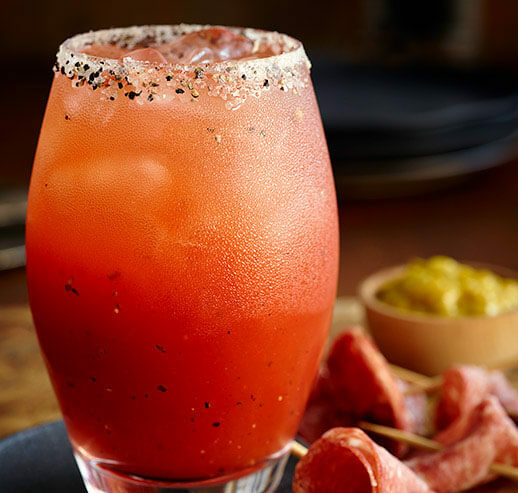 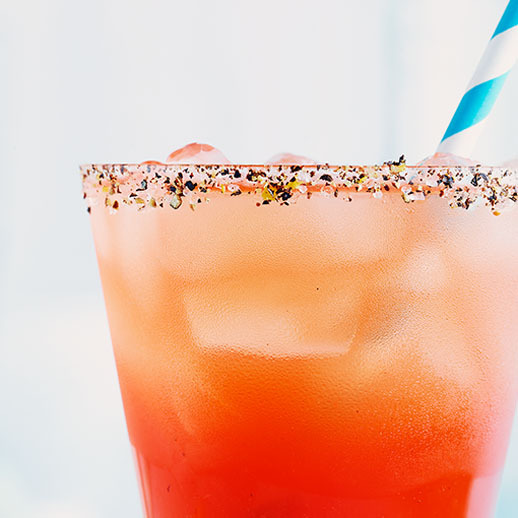 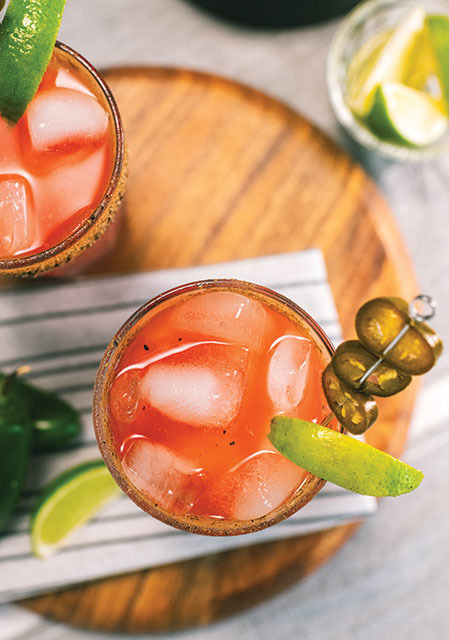 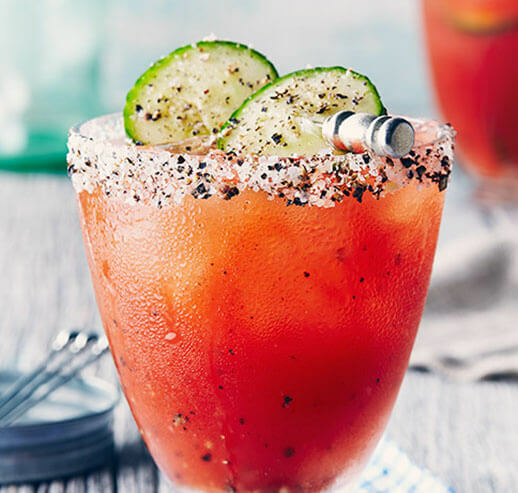 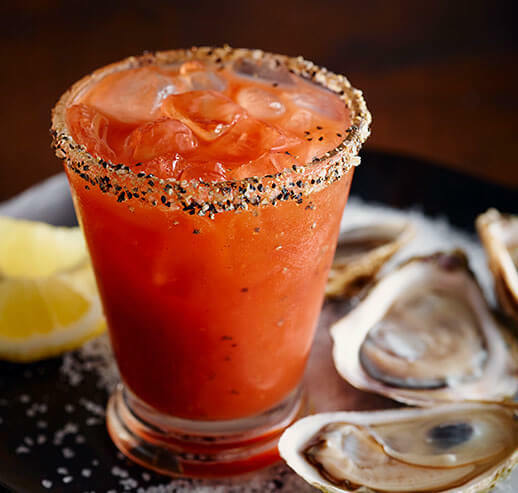 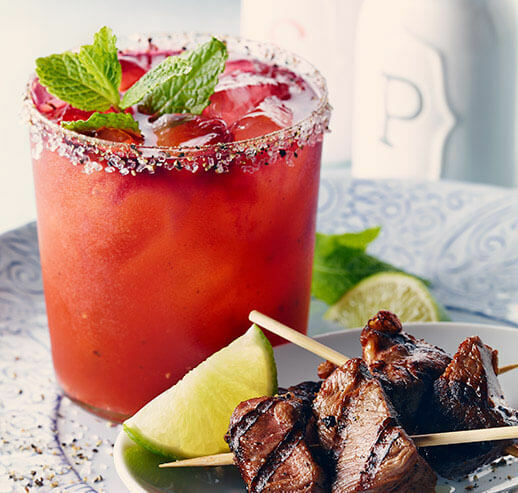 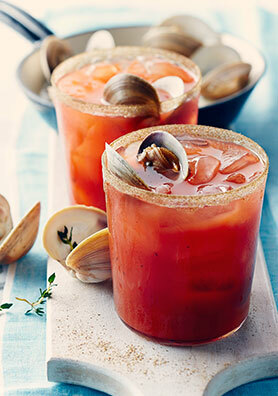 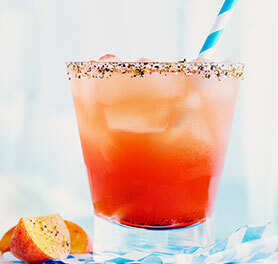 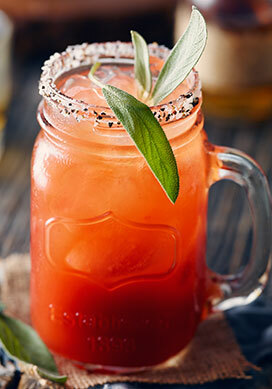 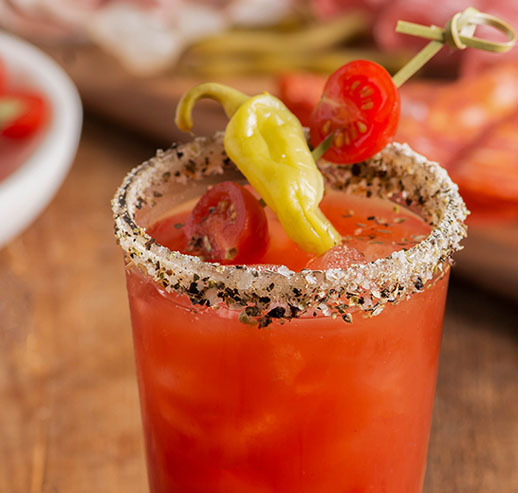 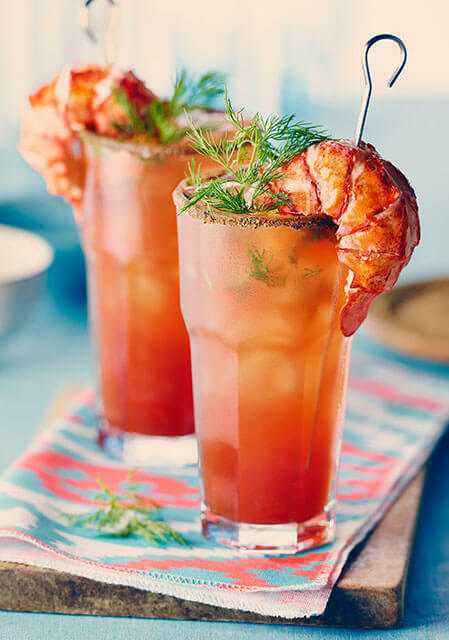 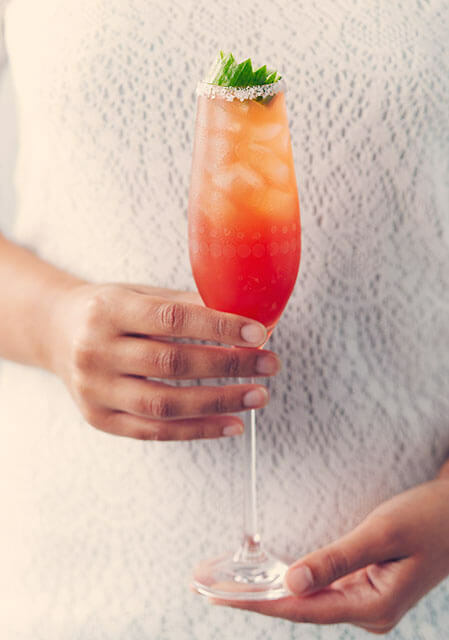 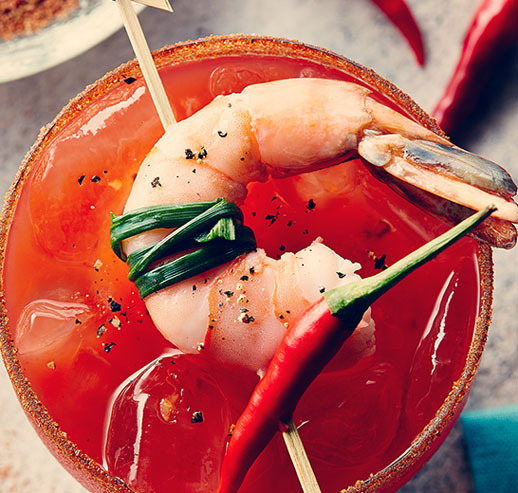 Add the gin and Mott’s Clamato Cocktail, and stir well to mix and spread the flavours around. 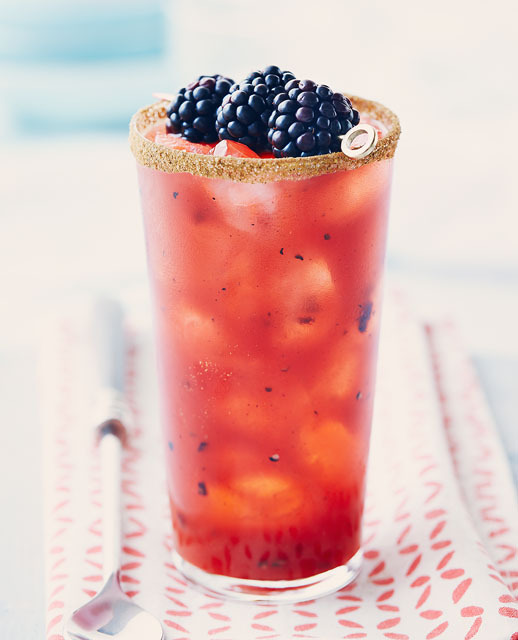 Rim a highball glass and fill to the top with ice. 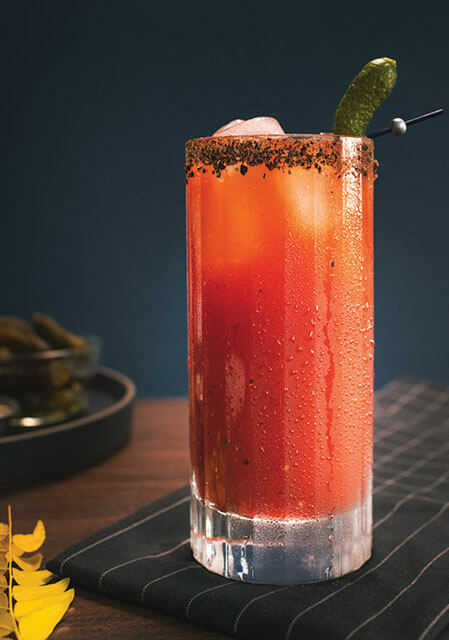 Strain the mixture into the highball glass, and garnish.